Holy Long John Silvers, Batman!! 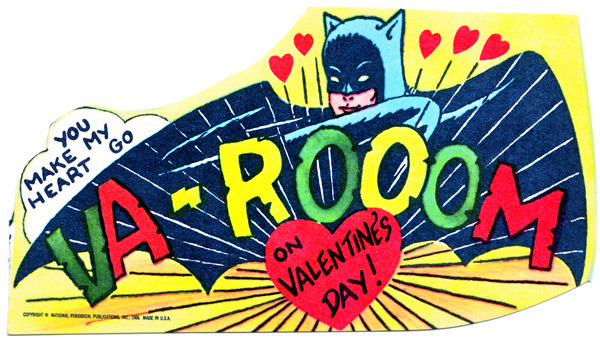 We Have Valentine Cards!! 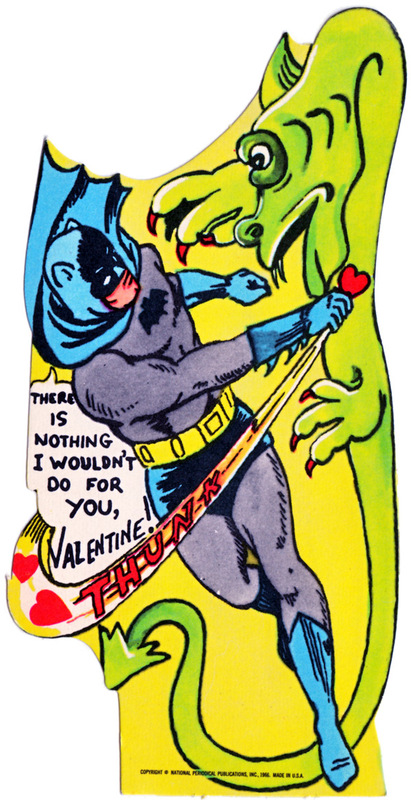 Since the Hallmark holiday is coming up soon, I thought I’d post these cool and vintage Valentine cards for you, so you can send to your favorite people on Valentines Day. 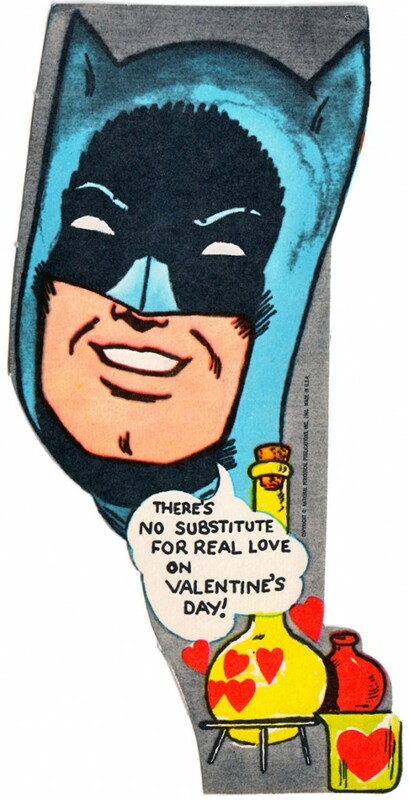 These are from 1966 and are all sorts of hilarious and awesome. 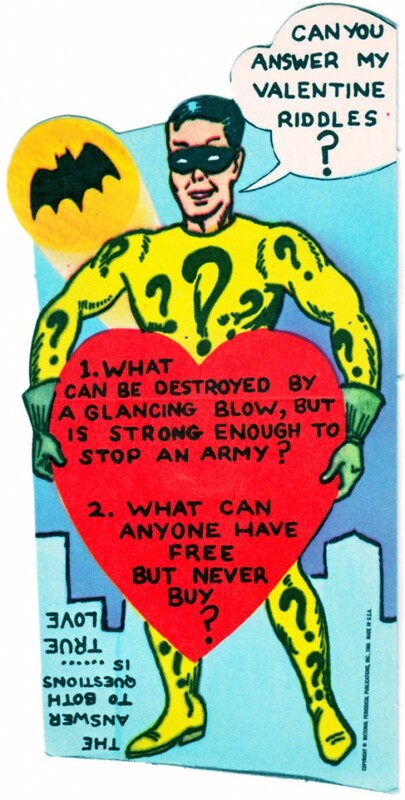 Because, when you think of The Dark Knight, you think of hearts, roses, and love. 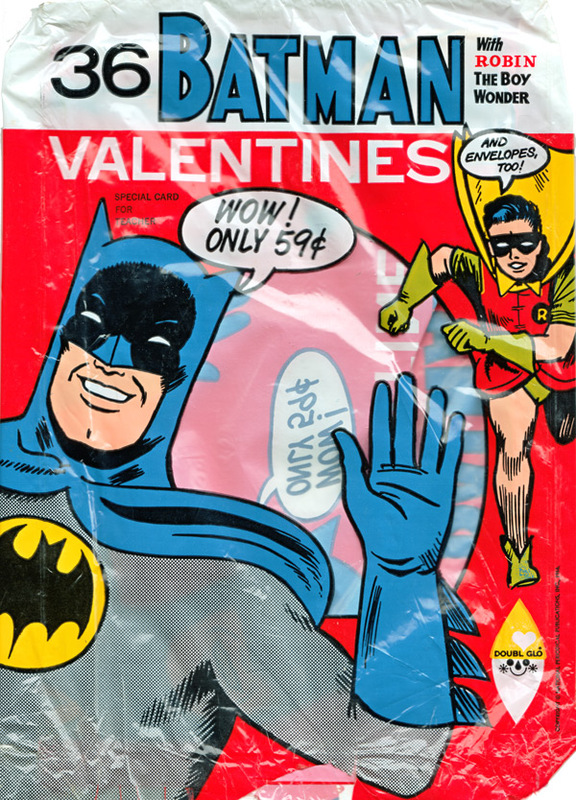 Mark Anderson from AnderToons came across these glorious Valentines on Ebay. And I’m glad he did, because they are spectacular. Which one is your favorite? 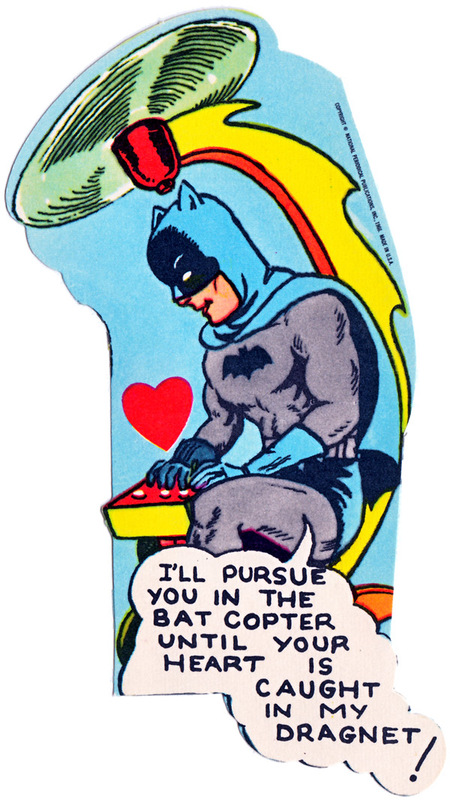 And don’t forget to send a Valentine this week to that special someone. Move Over Spider-Man!!! There is a New Batman Stage Production On The Loose!!!! **UPDATE**Actor Joseph Gordon Levitt Gets His Role In “The Dark Knight Rises”!! 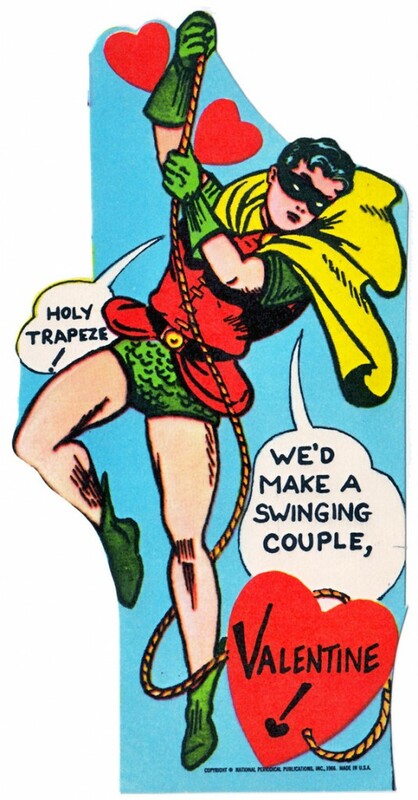 This entry was posted on Tuesday, February 11th, 2014 at 2:23 pm	and is filed under Comics, News. You can follow any responses to this entry through the RSS 2.0 feed. You can skip to the end and leave a response. Pinging is currently not allowed. « Eugene Levy And Catherine O’Hara Reunite In Audacious New Series Schitt’s Creek! !